A world-famous vintner is dead. 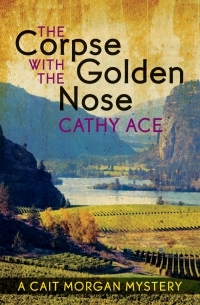 And when a heartfelt plea to look into the matter is paired with an exclusive gourmet event in British Columbia’s stunning wine country, overindulgent foodie and criminologist Cait Morgan cannot resist. As Cait unravels the clues, she realizes that more lives are at stake. Can she think, and act, quickly enough to prevent another death? The second book in the Cait Morgan Mysteries.